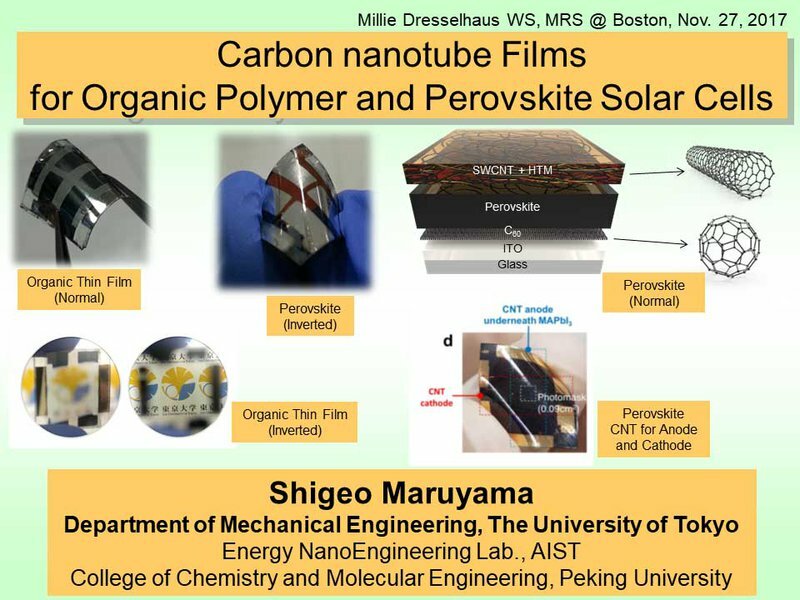 I would like to talk about solar cells and the possibility of using carbon nanotube films for some energy devices. But first, I would like to show you a few pictures of me and Millie. Not many! Maybe two or four. This was taken some time ago. 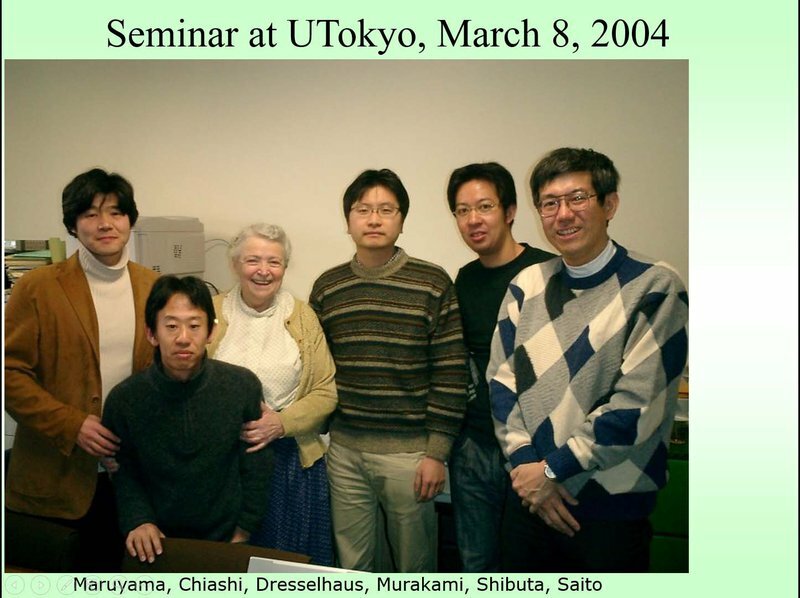 You can see me and Saito-sensei, here. Now, before I explain this photo further, I’d like to remind you all — Millie was everywhere! 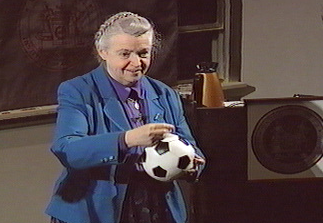 She was in Japan, in China, in Malaysia, and everywhere she went, she’d make a point to talk to young students along the way. 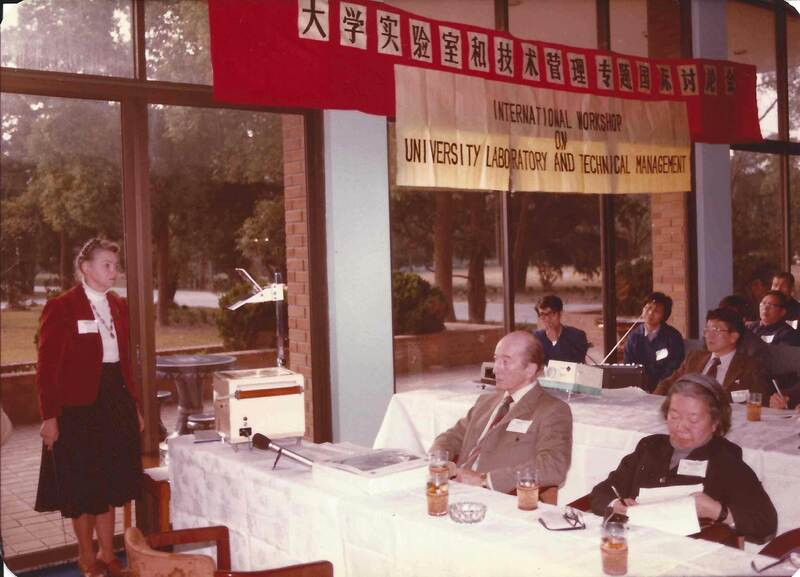 Of course, Millie’s trips to Asia started a long time ago, so by now, most of those students she spoke to are professors, with research groups of their own. But Millie wasn’t just everywhere — she also seemed eternal, to us. As we all grew up and our funding changed and our lives changed — Millie didn't change. 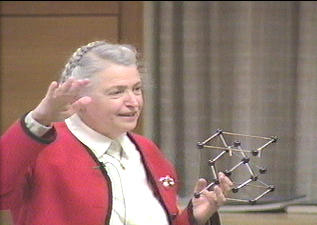 She always looked just the same and came at the science with the same sense of energy and passion. The research might go in a new direction, but Millie didn’t change. Millie always looked forwards — inspiring students to research the next big thing in carbon — but she never forgot people, and the people she knew were in every generation. She always asked us how Kamimura-sensei was doing. Now, for us, Kamimura-sensei retired a long time ago. But for her, he is a friend and collaborator and colleague. All these different generations of people — to Millie, they were all just the same! Every generation was Millie’s generation, and every person Millie worked with would become a part of her family. I intentionally brought this in Japanese, by the way, even though Chinese people may think it is in Chinese. 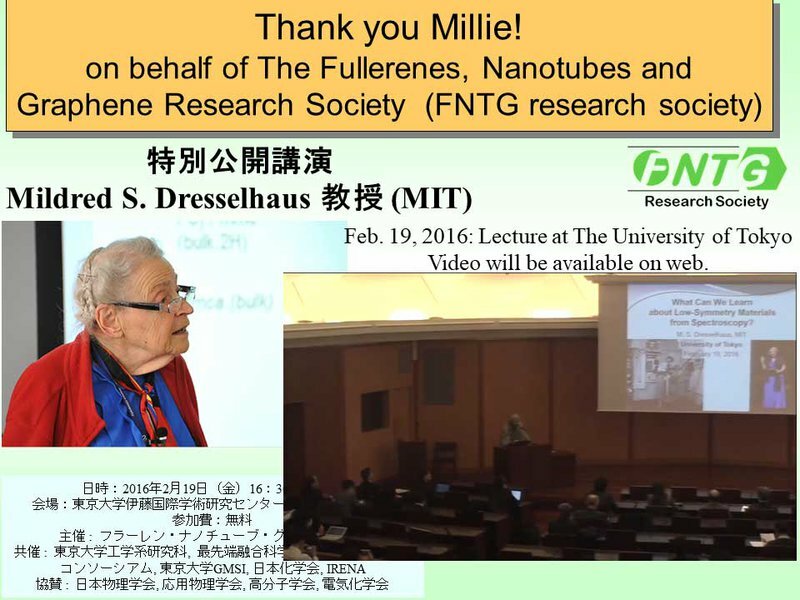 Last year, Millie gave a very big talk in our Fullerene, Nanotube, and Graphene Research Society in Japan. We have a recording of this talk, and we hope to make it available on the web, sometime. I bring it up because it shows Millie’s engagement with the other side of the world and her enthusiasm for scientific discoveries made so far away from her own home! She had so much enthusiasm, all the time. We really enjoyed it. For me, I had been working on carbon nanotubes, nano-heat transfer, and energy topics. So Millie and I would sometimes meet while giving talks at conferences. Actually, it’s a funny thing but — if you look at all the fields I just mentioned, the overlap of those fields is very small. Whenever we came to the Nano Heat Transfer Conference (with Millie, of course), we always looked around and noticed that there were no other nanocarbon physics people there! And the opposite was true. When we went to carbon nanotube or physics conferences, we never saw any heat transfer people. What I’m saying is that it's not easy to combine all these different fields. Also, I’ll just point out that it’s actually a little difficult to look at the energy field, because it's a very different and very diverse field. But I digress. Millie! Millie was everywhere and she had responsibilities everywhere. We, in Japan, have this Fullerene, Nanotube, and Graphene Research Society. I'm now the president of this Society.